#4: Network with other co-op members, who often are your friends and neighbors. It’s a great time to share news and new ideas over a cup of coffee. And we’ll have lots of coffee. 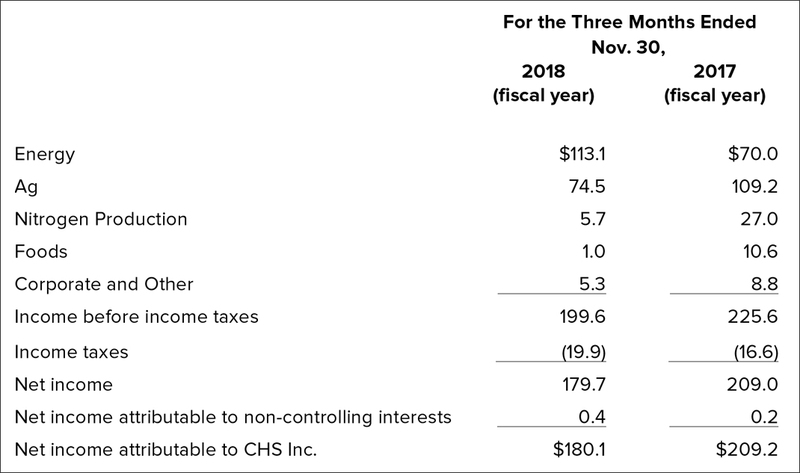 #3: Hear the latest on products and services, capital projects, budgets, how our co-op performed last year and much more. #2: Make your voice heard. Ask questions and take the opportunity to comment on proposed plans and strategies for our co-op’s future. No other kind of business lets you have a say in how it works, so speak up! #1:Find out the results of the Producer Board election. In a co-op, you get to choose who sets the policies and direction for the organization when you vote for your producer board. We sent the ballots out in early January, come see who your new board members are! CHS Elburn is proud to announce that we will be offering graduating high school seniors and students currently enrolled as an undergraduate at a university, a chance to apply for a CHS Elburn Scholarship. Last year, 12 students were awarded with a $1,000 scholarship. The CHS Elburn Scholarship fund was created through an endowment with the DeKalb County Community Foundation, a nonprofit foundation that enhances the quality of life in DeKalb County through endowments and donor services, stewardship, grantmaking and community initiatives. The fund was created as a lasting memory to the legacy created by Elburn Cooperative and to support the communities that strengthen the cooperative. Be a family member of a current CHS Elburn customer who conducts a minimum of $10,000 of business per year or be a family member of a current CHS Elburn employee. Be a graduating high school senior or student currently enrolled as an undergraduate in an accredited college or university anywhere in the United States. Pursuing an undergraduate degree in any field of study. Preference may be give to those in Agriculture-related fields. Previous scholarship recipients may apply, although preference may be given to those who have not been awarded a scholarship in the past. The CHS Elburn Scholarship Application can be found on the DeKalb County Community Foundation website. The completed scholarship application must be returned to the DeKalb County Community Foundation at 475 DeKalb Ave., Sycamore, IL 60178 by 5:00 p.m. on March 15, 2018. We are proud to support our local youth in agriculture. It pays to invest in our local future agricultural business leaders. The contest deadline is January 31. This year’s theme is “How Will Agriculture Feed the World?” The contest, organized through Agriculture Council of America (ACA), is divided into two categories: the written essay contest and the video essay contest. Both are national competitions and there will be one winner for each category. The national written essay winner receives a $1,000 prize and round-trip ticket to Washington, D.C. to be recognized at the National Press Club Event on March 20, 2018. The video essay winner wins a $1,000 prize. The Ag Day Essay Contest is sponsored by CHS Inc., Farm Progress and the National Association of Farm Broadcasting. Click here for an entry form and to find out more about the contest. CHS Elburn partnered with Greater Elgin Family Care Center to fund a mobile food pantry through the Northern Illinois Food Bank. Together they served over 100 clients benefitting over 400 household members in DeKalb County. Families gathered in the parking lot of Greater Elgin Family Care Center’s Sycamore location on a Monday afternoon in December, holding boxes, bags and baskets. A truck arrived and volunteers from CHS Elburn and Greater Elgin Family Care Center began unloading food from bays and organized them on tables around the truck. 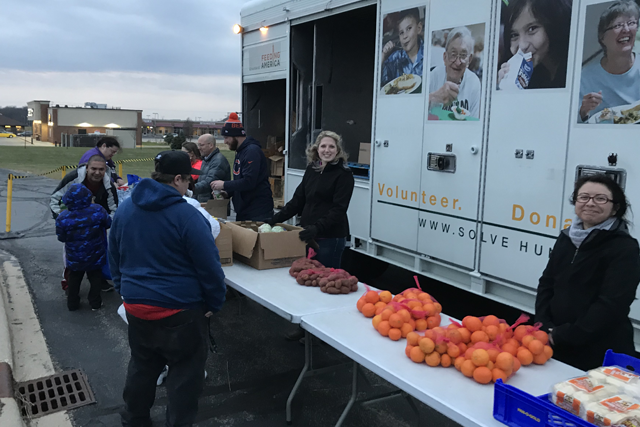 “Hunger is a real problem for so many people in our local community,” said Stephanie Hess, marketing communication specialist for CHS Elburn, “We were happy to partner with Greater Elgin Family Care Center to be able to bring the mobile food pantry to the area”. Northern Illinois Food Bank’s Mobile Pantry Program provides food distribution to under-served areas, where there is little access to food assistance. Every distribution includes frozen meat, a valuable source of protein, fresh produce, bread, and nutritious non-perishable items, as well as cleaning items when available. Each Mobile Pantry distribution visit lasts two hours and can provide nutritious food to as many as 300 families. Nitrogen management is critical for growing healthy corn and farmers are sensitive to their role in helping build a more sustainable world. They are faced with the often-daunting question of whether fertilizer applications can be both profitable and sustainable. Often, the delicate balancing act begins with the decision of whether to apply N in fall or hold off until spring. Corn producers understand there is no blanket practice. There is, however, a disciplined application approach that has long proven effective. As most growers are aware, the 4R program is a concept to help them select the right fertilizer source at the right rate, at the right time, with the right placement. While source, rate and placement are important, often the most scrutinized decision — both from an economic and sustainability standpoint — is timing. Each year, farmers consider many factors when deciding when N should be applied. Complicating the decision are those who call into question research data documenting the effectiveness of fall applications. Environmental concerns resulting from nitrate leaching and denitrification — regardless of whether fall- or spring-applied — also complicate the equation. Because all N sources are, by nature, very mobile and susceptible to loss,there are inherent risks. As farmers look ahead and try to anticipate what’s coming for the next six months, they’ll be weighing several factors that will ultimately lead them back to BMPs and the 4Rs. It’s not a perfect science, and there will always be variables. Regardless of whether Mother Nature shines favorably on fall application or decides to halt things until spring, the fine line of maximizing profit by minimizing N loss and promoting sustainability should always be top of mind. Using N-Serve® and Instinct® nitrogen stabilizers with fall-applied N can have both economic and environmental advantages. Farmers planning fall urea applications should make sure it’s protected so it’s available to crops in spring when they need it most. Instinct maximizes N by extending N availability for up to eight weeks so it’s available during critical growth stages, so crops deliver the maximum yield at harvest. When applied with urea, Instinct can blend easily in a blender for simplified application. The advantages of using Instinct with fall-applied swine manure are no different; however, farmers who use liquid manure to fertilize corn crops can now mix Instinct® nitrogen maximizer in their pit for easy application to protect applied N.
Field studies conducted by Dow AgroSciences and several Midwestern universities show notable corn and silage yield increases when manure is applied with Instinct. For more information about protecting fall-applied N, visit NitrogenMaximizers.com. *Based on 452 Dow AgroSciences field trials from 2010-16, resulting in an average increase of 8.9 bu./A at $3.50/bu. CHS has announced open enrollment for corn and soybean marketing contracts through CHS Pro Advantage now through December 13, 2017. New this year, contracts for spring wheat are also included in this enrollment period. 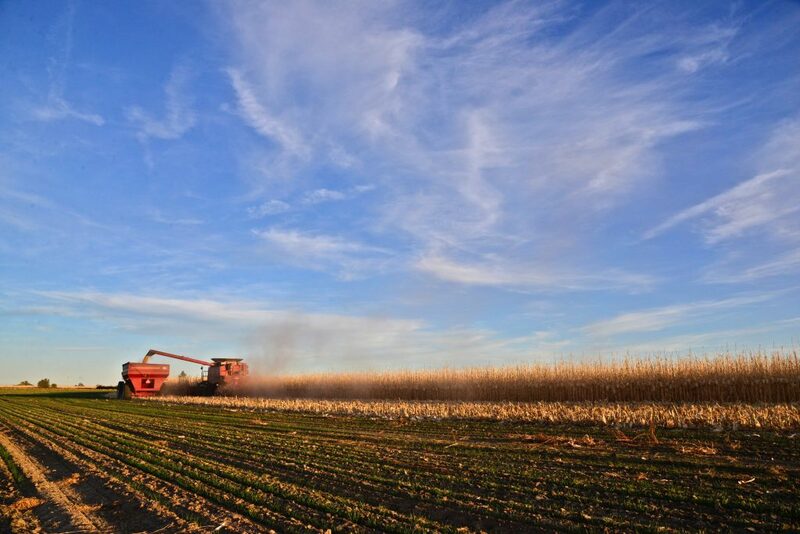 CHS Pro Advantage gives growers access to industry experts at Russell Consulting Group, a wholly-owned subsidiary of CHS, to price and sell their grain. This helps to manage risk while delivering superior profits even during a tough market. “With wheat futures falling from three-year highs seen just a few months ago and volatility following USDA’s August report, now is the time to commit bushels for professional management and marketing by our hedging experts,” says Kent Beadle, director, Russell Consulting Group. Growers can enroll 2018 and 2019 bushels. Bushels in the one-year program will be priced between December 18, 2017, and August 24, 2018. Bushels in the two-year program will be priced between December 18, 2017, and August 23, 2019.